Meet Our New Sheep Grazing Project Technician! We are very pleased to welcome Constance Helstosky to our year-round staff as our new Sheep Grazing Project Technician. 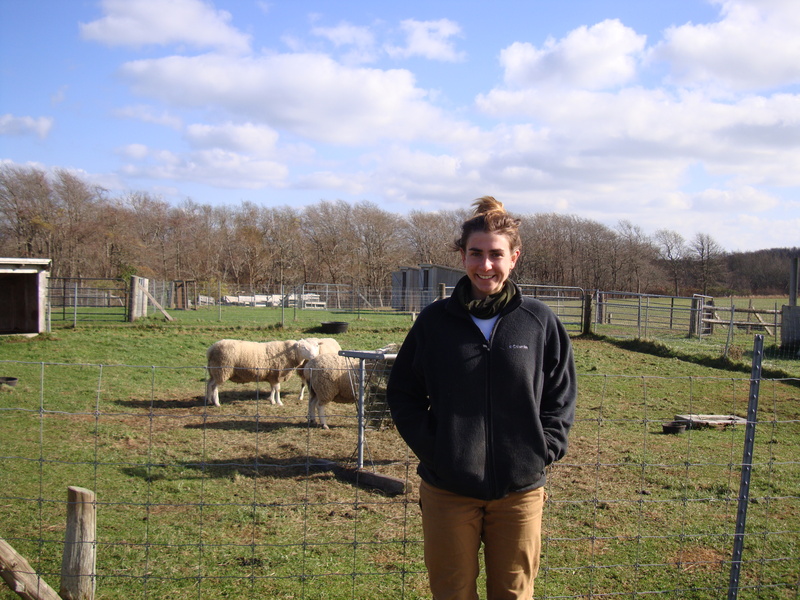 Connie joined us in mid-November and has hit the ground running, taking on the many responsibilities associated with the care and maintenance of our current flock of 75 sheep at Squam Farm. Connie took over this position from our previous technician, Jessica Pykosz, who recently moved off-island with her husband to manage a historic working farm in Foster, Rhode Island. Jess did a fantastic job overseeing our sheep grazing and flock management for the past 5 years, and we wish her the very best of luck in her new endeavors. Connie comes to us with a great deal of previous experience and enthusiasm for this unique and challenging position. She holds a B.S. Degree in Animal Science with a pre-veterinary concentration from the University of Delaware in Newark and has four years of post-college experience working in various farm and livestock-related capacities. Over the coming months, she will be overseeing the breeding of our sheep to produce a new crop of lambs this spring, rotationally grazing the flock on approximately 30 acres of upland pastures scattered around the Squam Farm property during the spring, summer and fall, and taking care of all aspects of the flock’s health, nutritional needs, and overall well-being. I grew up in a suburb of Boston reading All Creatures Great and Small and dreaming of the day I would become a large animal veterinarian. I attended the University of Delaware and during my first semester I got a job on the dairy feeding calves. From that moment I gravitated toward being the farmer rather than the veterinarian. During my years at University I worked on farms producing everything from broccoli to ice-cream. All the while gaining practical knowledge and a thirst to know and do more. Once I returned from a final semester at Lincoln University in New Zealand, I began farming full time as a herdsman for a sheep and cow dairy in CT. From there I headed north to farm on various diversified livestock operations in Vermont. All the while learning, making mistakes, and taking in as much knowledge from older farmers as I could. My final job before heading to Nantucket was as a nutritional research technician for a 500 cow dairy located in Northern New York recognized as one of the top producing herds in the nation. From this job I gained more skills and experience thinking about the nutritional requirements of individual animals, and the interplay of efficiency and economics. I am very excited to join the team at the Nantucket Conservation Foundation. I have been provided with a unique and wonderful opportunity to continue a successful project. I have found farming to be extremely frustrating when troubles arise that there is no chance to prepare for. However, no other occupation on earth provides those beautiful, perfect days in the hay field, or nursing a sick lamb back to health. The triumphs and beauty of an ancient lifestyle make every obstacle worth overcoming. To be a good farmer is to be a great land steward and I believe that through this unique opportunity I will learn to succeed at both. I look forward to the unique challenges farming on Nantucket will bring me, and I am grateful to be given a chance to continue the exceptional standard and quality of the sheep land management program on Squam Farm. 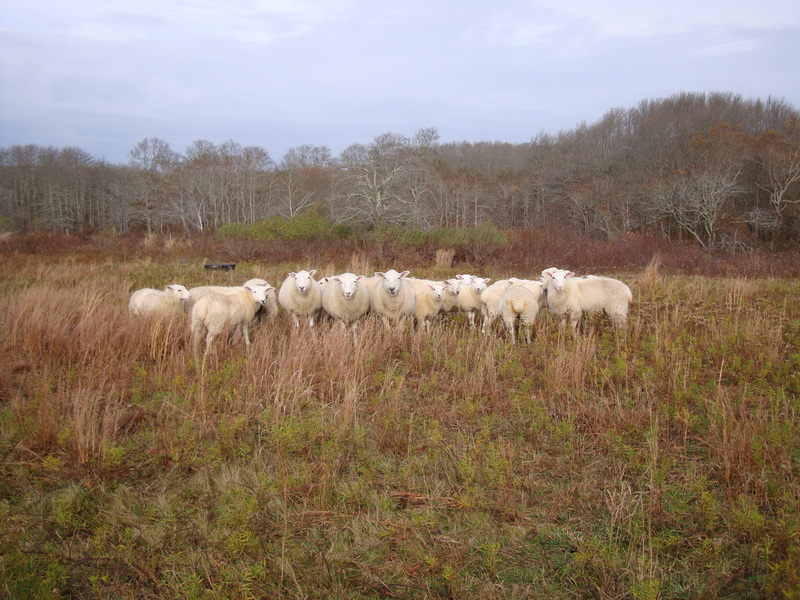 This entry was posted in Sheep and tagged land use history, Nantucket, Nantucket Conservation Foundation, Nantucket sheep, restoration, Sheep, sheep grazing. Bookmark the permalink.